Green Bay Packers quarterback Aaron Rodgers added a significant weapon on Tuesday with the reported addition of tight end Jimmy Graham, but he also lost one as well. Not long after the news of Graham’s three-year deal with the Packers broke, the team announced the release of wide receiver Jordy Nelson, a longtime target of Rodgers. Nelson arrived in Green Bay in 2008, a few years after Rodgers. Naturally, Nelson’s departure is a tough pill to swallow for the two-time MVP. 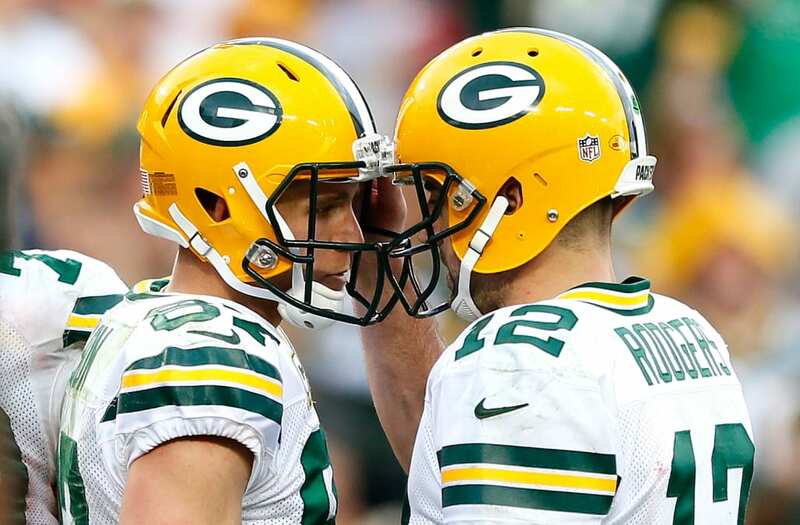 Over their nine years in Green Bay together, Rodgers and Nelson connected for 65 touchdowns, more than any other quarterback-receiver duo in franchise history. Nelson, 32, ranks near the top of the team’s record books with 550 receptions (third), 7,848 receiving yards (fifth) and 69 touchdown catches (second). By moving on from Nelson, the Packers save $10.2 million in salary cap space.